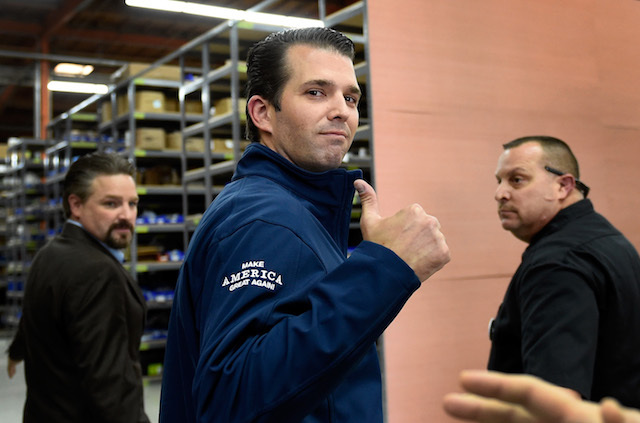 Donald Trump Jr. called out Seth Meyers after the talk show host mocked President Donald Trump’s address to the nation about the crisis on the border. “I’m sure that’s hysterical to the families of the murder victims the president just discussed,” Kelly tweeted to her millions of followers. “At least they’re not pretending to be even a little objective anymore,” the first son tweeted, along with a clip posted on social media of CNN’s host Don Lemon and Chris Cuomo discussing Trump’s “border crisis” speech.